need new photo tho, can’t see it? Neat! Where’s the picture you mention in the article? I know! 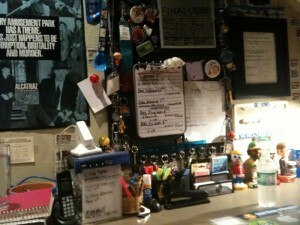 Too bad I didn’t take pics of his desk area when I first started working at his house. @Jake Thanks for letting me know the picture isn’t visible. Added it back in! !